A wonderful project for children who are working on their beginning writing skills is to create handmade books. Ribbon-bound books provide a great opportunity for them to combine art skills with writing. 1. Create the blank book first. Add written work and art to the book gradually. 2. Start with a writing project, create the art, and then make the book to suit the finished products. 1. Children who love all things motorized can combine photographs and technical drawings along with written descriptions and story. The colors of the ribbons and cover pages can match some of the contents. 2. Your child does not have to use ribbon or paper. He or she can look for interesting and eco-friendly alternatives such as aluminum foil with wire for binding or fabric covers with braided rope. 3. Is your child just beginning to write? Copying word lists (see below) onto three-lined paper that can be pasted into the pages will make a wonderful work book. 4. Gifts. Your child can create a baby gift with soft touchable fabrics pasted onto the inside pages or a grandparent gift with lots of art work and photographs combined with poems and essays. 5. Trip log of a family camping trip or a field trip to a botanical garden. Your home classroom should have lots of word lists. These are lists of words that contain a similar element such as all words that have "ch" or "aight" in them. A great way for you to interact with your child in this project is to create a book for yourself. This is an excellent group project for children of all different ages, so it is perfect for a classroom of children or a family at home. 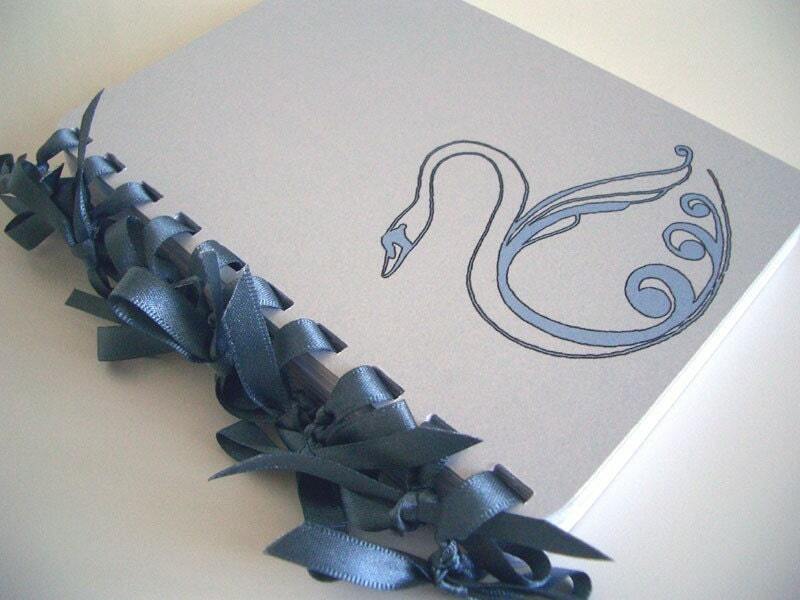 This beautiful ribbon-bound book photo was kindly provided by Nuvonova, a shop on Etsy.